The biblical commentators argue whether Joseph’s brothers pulled him from the pit and sold him to a passing caravan or if a passing caravan extracted him and sold him to another. Either way, Joseph’s future was very uncertain. On November 29, 2012, I did not know whether I would live another day or if I did, what the future would hold. Dr. Lars Svensson and his skilled team at the Cleveland Clinic opened my chest to replace my artificial aortic heart valve, which was no longer working very well. At the same time they repaired a life-threatening ascending aortic aneurysm. The image of Joseph emerging from the pit and forging a meaningful and productive path forward resonates strongly with me. Although sold as a slave, Joseph worked hard, availed himself of the opportunities that came his way and triumphed over the difficulties with which life confronted him. Like Joseph, I have emerged from my pit to a place of physical strength and professional productivity. Like Joseph as well, I needed people to pull me out. I cherish and extend thanks to those—from all periods and places in my life—who offered words of encouragement and gestures of friendship. Unlike Joseph, I do not sit at the right hand of Pharaoh, but I feel very blessed indeed. I have left the pit behind and eagerly look forward to whatever the future may bring. November 29, 2015, marks the third anniversary of my second open-heart surgery. “Rabbi Fuchs to Have Open Heart Surgery,” read a late-June 1996 headline on the first page of the local news section of The Nashville Banner. While I had neither hoped for nor wanted such publicity surrounding my surgery, the headline symbolizes the difference between the surgery I underwent at Vanderbilt University Medical Center in Nashville in 1996 and the more complex open-heart surgery I underwent at the Cleveland Clinic on November 29, 2012. In Nashville, because I was known in the community my surgery to replace a congenitally defective aortic valve attracted more attention, advice, visits and support than I could ever imagine. By contrast my surgery in 2012 was in Cleveland where I knew almost no one. My Connecticut cardiologist encouraged me to have my 2012 operation done in a major heart center “where they do lots of these unusual procedures.” With his encouragement, we settled on the Cleveland Clinic. The surgeon, Dr. Lars Svensson, is word-renowned, and the medical, nursing and technical care were all superb! The problem was that except for one incredibly wonderful and supportive family with whom we are very close and a couple of very gracious and concerned rabbis, we knew no one in Cleveland. The love and care I received from my wife Vickie is priceless, and my three adult children all interrupted their very busy lives to fly in for the surgery from both coasts. But after a few precious days, my children – as they should have – flew back to their spouses, children and professional responsibilities. Enter FACEBOOK into the breach. When I travelled the world for an 18 month period as President of the World Union for Progressive Judaism – making 65 visits on five continents and living both in Israel and in New York City – I checked in on FACEBOOK only occasionally and posted even less frequently. Since my surgery three years ago, I have been a frequent contributor. It was strength I needed. People I knew in elementary and high school, college and grad school, in the three communities I served as rabbi and in my travels for the WUPJ have lifted me up. Some I knew intimately, and some I had never met in real life. Rabbi Beth Davidson und ich arbeiteten sechs Jahre lang zusammen. Sie war die allererste Rabbinerin in Nashville, Tennessee. Wir hatten zu fast zu allen wichtigen Themen die gleichen Ansichten und freuten uns an einer wunderbaren Zusammenarbeit. Unser Patriarch Jakob war das einzige Thema, bei dem wir uns nie einigen konnten. Für mich berichtet der Tora-Abschnitt dieser Woche vom Zielpunkt eines zwanzigjährigen Veränderungsprozesses, in dem Jakob sich entwickelt von einem selbstbezogenen Halunken, bereit zu Betrügen und zu Stehlen, zu ישראל (Yis-ra-el) Israel, dem einen, der es wert ist, das Bündnis mit Gott weiterzuführen, das mit Abraham begann. Für Rabbi Davidson hat sich Jakob nie geändert, auch wenn sie zugesteht, dass er einiges richtig gemacht hat. Aber er bleibe immer der egoistische Manipulator, willens alles zu tun, um seine Ziele zu erreichen. Als Rabbi Davidson mich als Gastrabbiner in ihre derzeitige Gemeinde einlud, leiteten wir zusammen das Tora-Studium am Schabbat Vormittag. Wir entschieden uns, die Meinungsunterschiede über Jakob den wissbegierigen Teilnehmern bewusst darzustellen. Wir sahen dieses Tora-Studium als Gelegenheit zu zeigen, wie zwei Personen, die leidenschaftliche Studierende und Liebende der Tora sind, doch über eine der wichtigsten Figuren der Tora sehr uneins sein können. Rabbi Davidsons Kommentar zu meinem Buch „Was steckt für mich drin? Wir entdecken uns selbst in Erzählungen der Tora!“ werde ich immer wertschätzen: In dem Kapitel über Jakob verteidigst du ihn so gut es nur irgend geht. Aber ich stimme immer noch nicht zu, dass sein Charakter sich gewandelt hätte, wie du behauptest. Das Wort Yis-ra-el bedeutet „Einer, der mit Gott kämpft“. Ich weiß, dass das Kapitel über Jakob in meinem Buch auch durch die „Kämpfe“ so stark wurde, die Rabbi Davidson und ich miteinander ausgetragen haben, als wir zusammen arbeiteten. Rabbi Beth Dina Davidson and I worked together (she was the first female rabbi in the history of Nashville Tennessee) for six years. We shared similar perspectives on almost every important issue, and enjoyed a wonderful partnership. Our patriarch Jacob was the one subject on which we could never agree. For me this week’s Torah portion culminates 20 years of change in which Jacob grows from a self centered knave willing to cheat and steal to get what he wants into ישראל (Yis-ra-el) Israel, the one worthy to carry on the Covenant God first made with Abraham. For Rabbi Davidson, though she acknowledges he did some good things, Jacob never changed. He always remained the selfish manipulator willing to do whatever it took to accomplish his ends. When Rabbi Davidson invited me to serve as scholar-in-residence in her current congregation, we led Torah study together on Shabbat morning. We decided to consciously model our disagreement about Jacob to an eager group of participants. 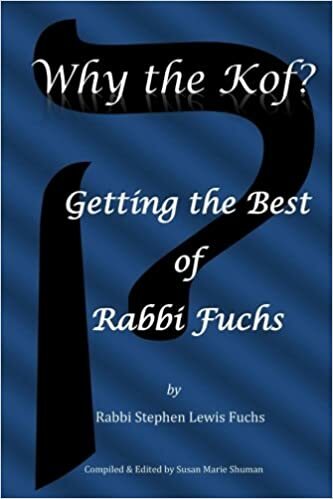 We saw the session as an opportunity to show how two individuals who are avid students and lovers of Torah could disagree sharply about one of Torah’s most significant figures. The word Yis-ra-el means “One who struggles with God. It is hard for me to believe that it has been more than three years since my last visit to Israel. That is far too long for Israel is constantly in my thoughts. On my last visit there was at the entrance to the mall is a bronze sculpture of a man playing his violin on a street corner or a promenade. Some of his strings are broken, but he perseveres. His violin case is open before him, and it holds the spare change that passers-by have tossed into it. It is how the man supports himself and his family. Three years ago the asking price of the sculpture was about $16,000. It is probably more today. That is way beyond my budget, but to me that sculpture is a magnificent symbol of one of Israel’s greatest triumphs. Between 1990 and 2000 Israel absorbed more than one million immigrants from the former Soviet Union. To give perspective on what that means it was a feat akin to the United States absorbing the entire population of France! As you can imagine, it was not easy . There were logjams in housing, job training, language training and many other necessities of starting a new life in a new country. Doctors in the FSU worked as orderlies; PhD. engineers worked as janitors; and symphony orchestra level musicians stood or sat on street corners and played with their instrument cases open, hoping for a few shekels from those who passed by. Whenever I visited Israel during those ten years, the sculpture that caught my eye at the entrance to the Mamilla Mall was an all too familiar and all too sad real life scene. I still see their faces, and I still feel the sadness of their sacrifice. Back home in the FSU they were respected musicians with positions of esteem. But they sacrificed all that as did so many in other walks of life. They sacrificed their present to come home to Israel in order to give their children and grandchildren the future and with that future the freedom and opportunities which the Jewish State would offer. As we know, Israel triumphed and overcame those hard times! Because Israel successfully absorbed so many highly educated FSU immigrants, her economy has boomed, and it has become one of the leading high tech nations in the world! Israel, of course, still faces many problems both external and internal, but it has become one of the strongest most economically healthy nations on the planet. So many people from visionary leaders to dedicated factory workers have shaped the Israel of which we are justly proud . Just as I am proud of Israel’s triumphs, we yearn to see it become an ever more just, caring, compassionate society that offers freedom and equal opportunity to all of its citizens regardless of religion, nationality race or gender. I yearn and hope one day to see a strong Israel and an independent Arab state of Palestine living side by side in harmony and friendship. For me, the symbol of both that triumph and that hope is the sculpture of an elderly man playing on with broken strings with an open violin case before him. Was hat Jakob gedacht in diesen dunklen, kalten Stunden, wenn der „Schlaf von seinen Augen floh“? Nach den ersten sieben Jahren, die in Liebe zu Rachel im Nu verflogen (Genesis 29,15), war sein Leben mit Laban wie eine Gefängnisstrafe. Aber Jakob lernte die Lektion, die eine Gefängnisstrafe erteilen sollte. Zuerst trickst Laban Jakob genau so aus, wie Jakob seinen Vater ausgetrickst hatte (Genesis 29, 23-28). Wiederholt nimmt er Jakob weg, genau wie Jakob es von Esau genommen hatte, was Jakob von Recht wegen zusteht (Genesis 31,38ff). Jakob wusste, dass Esau ihn hasst und geschworen hat, ihn zu töten. Aber mit jeder neuen kalten, einsamen Wüstennacht wurde sein Wunsch, sein Verhältnis zu seinem Bruder in Ordnung zu bringen, stärker als seine Angst. Trotz Labans Versuchen ihn zu betrügen, wurde er reich an Schafen und Rindern. Darum bereitete er in Gedanken ein Geschenk vor, das er seinem Bruder schicken wollte. Eines nachts rafft er sich auf. Er geht nach Hause um seinem Bruder zu begegnen. Er vertraut Gottes Versprechen, ihn zu schützen – tatsächlich klammert er sich daran – , aber er weiß, dass er seinen Teil dazu tun muss. Er spart nicht! Er sendet Herden von Rindern, Schafen und Eseln zu seinem Bruder, mehr als genug um den Wert des Erstgeburtsrecht zu ersetzen, das er gestohlen hatte. Den Segen allerdings wird er behalten. Er bekommt den Namen Israel, mit dem wir uns selbst bis heute rufen. Nach den 20 Jahren Haftstrafe im Laban-Gefängnis ist Jakob bereit seine Bestimmung zu erfüllen. Often during my recent ten weeks in Germany I shared in Christian Churches and school classrooms the underlying principle of our religion. It is an ideal of which many Jews are not aware. So involved do we become in the details of an event– whether it be a Sabbath Eve service, the High Holy Days, a Bar or Bat Mitzvah, food preparations for Chanukah or Passover, or getting the kids dressed for Purim–that we remain unaware of Torah’s revolution in human thought that underlies everything we do as Jews. In the pagan world, from which Judaism evolved, people thought of gods as super human forces that possessed great power. The purpose of worship was to appease these various deities. Worshippers made their offerings in the hope that the god or goddess would not use its power to hurt them or, conversely, in the hope that the god or goddess would use its power to help the petitioner in some way. Torah posits an entirely different idea about God. We claim that there is one God, not many and that God is invisible with no shape or bodily form. Most Jews know these things. What many cannot articulate, though, is that our God has an entirely different agenda than the objects of pagan worship. In our tradition God’s primary interest is how human beings treat each other. God’s primary goal is that we create–on the earth that God has entrusted to us —a just, caring and compassionate society. Almost every religion offers a “Golden Rule” type saying. But our tradition insists that every Jewish act should reinforce that vital principle. As the Sabbath and festivals of the year, as well as the joyous and sorrowful events of our lives, come and go, we should ask ourselves: How can I best connect this observance with that central ideal for myself, my children and for my grandchildren? We should strive to make a direct connection between every Jewish event and the idea of God who wants us to use our talents to make a better world. If we succeed, we can put to rest concerns for the Jewish future. If we succeed, our people will thrive as “לאור גוים (L’or goi-eem) a light to the nations (Isaiah 42:6)” that will brighten this ever-darkening world. After the first seven years, which flew by because of his love for Rachel (Genesis 29:15), his time with Laban was like a prison sentence, but Jacob learned the lessons prison is supposed to teach. Jacob knew that Esau hated him and vowed to kill him. But with each succeeding cold, lonely desert night, his desire to make things right with his brother grew even stronger than his fear. Despite Laban’s attempts to cheat him, Jacob grew wealthy in sheep and cattle. So in his mind he prepared the offering he would send to his brother. One night, Jacob made up his mind. He is going home to face Esau. He trusts God’s promise of protection—indeed he clings to it—but he knows that he too must do his part. He does not stint. He sends droves and droves of cattle, sheep and donkeys to his brother, more than enough to make up for the value of the birthright he stole. The blessing, though, he will keep. 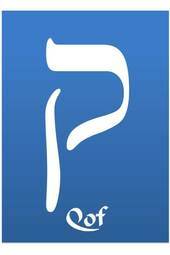 He will become Yisrael, the name we call ourselves to this day. After his twenty-year sentence in the Prison of Laban, Jacob is ready to fulfill his destiny. The Probst of the Lutheran Churches of Bad Segeberg, Dr. Daniel Havemann, has been incredibly gracious, kind and welcoming to Vickie and me. He invited me to preach the first sermon I delivered in Germany in 2014 in the historic Marien Cathedral in Bad Segeberg. This year he invited me to preach at the end of my visit. It is as though Dr Havemann’s friendship and authority created a protective and comforting bracket around our extended stays in Germany. Our joy, of course, paled against the anger and sadness caused by the horrific attacks on Paris. Pundits are telling us to accustom ourselves to this new reality of dozens of people mercilessly murdered by savage forces in the name of religion. Fittingly the text about which Dr. Havemann requested I preach—long before the Paris event—was the destruction of Sodom and Gomorrah. No text could have been more fitting. Our Rabbinic Sages probably could not have imagined the magnitude of the attack on Paris. They had no concept of mass coordinated assaults on innocent civilians in sports stadiums and theaters with sub machine guns and other weapons of mass destruction. But because the Torah tells us that Sodom and Gomorrah were so wicked that The Eternal One destroyed them, our Sages’ fertile minds gave us graphic pictures of how depraved those societies were. There was also a law in Sodom against welcoming guests into one’s home. Of course, the Torah tells us that Lot violated this law by not only welcoming guests but also protecting them from the assault of an angry mob outside. Yes, the depravity of Sodom parallels the depravity of those who attacked Paris. Anger and rage are appropriate responses, but despair is not. Once there was a man who travelled to Sodom every day asking the people there to repent their evil ways and to change. The scoffed at him and mocked him. But every day he would return with the same message of repentance. Even in the face of wickedness that defies description, we must never abandon hope.